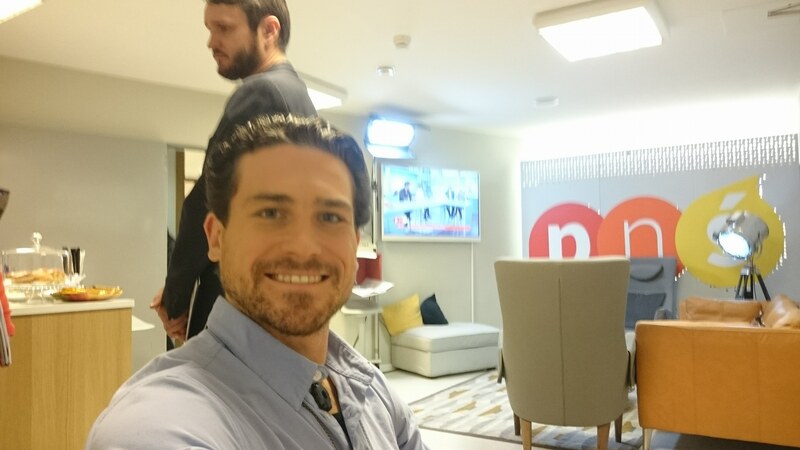 During my last visit to Warsaw, I was unexpectedly invited to appear as a guest on the Polish TV show “Pytanie na Śniadanie,” or Question for Breakfast, on the channel TVP2. For anyone outside of Poland, this is basically the equivalent of Good Morning America on ABC in the United States. Today, I want to share the recording of the interview complete with English subtitles. Shenanigans in the green room. At first I felt completely embarrassed and avoided watching the broadcast. In my mind, the things I felt self conscious about got blown completely out of proportion. I thought my accent and choice of words were hard to understand, that I looked nervous, and that I didn’t express what I wanted to say. But, in a blink it was over! Once the interview started, there was no pause button and it seemed to fly by faster than I could comprehend what happened. But before this impression set in, I walked out of the studio glowing with “I was just on TV.” Plus, in spite of protests and threats from the security guard, I managed to get the “Ciupaga” traditional mountain axe into the building and onto the coffee table for the broadcast – a nod to the Polish Górale highlanders that are my ancestors. Then, I watched the interview. Each viewing changed my mind and revealed just how well I am able to handle myself with rapid, thoughtful, yet easy to understand answers. For example, there were some topics that could easily be misunderstood out of context. Limited to short answers, I had to convey the right idea but provide a complete perspective. This is best demonstrated when the hosts ask about my debt, seemingly seeking to paint me as irresponsible or what I have accomplished as impossible if I had not paid it off. Instead of arguing or providing an answer that sounds unfeasible for a common person, my answer was simple; “…the largest corporations in the world have debt.” It is something that anyone can understand and practice (financial management). The hosts’ effort to take turns poking holes in my story was not malicious, it was exactly their job. Their intention was to ask questions that the audience had; to address the skeptical disbelief in my claim that “anyone can reach their dreams.” Of course people would have questions about how I can financially swing this, how a person can possibly get started, whether there was some sort of secret lucky source of support, etc. Basically, I came in making big claims that I am an explorer, and their job was to confirm that what I am saying is true. In the end, I feel like I participated in a professional discussion at the highest level and successfully adapted to the pair’s style of questions. I’m proud of how it turned out, and it was a process reaching this point. I made such an intense effort to prepare in a frenzy of self conscious exhaustion that challenged me to stay focused, calm, and be productive. But, if there’s anything I can take away from this experience, it’s that the best material comes out when I am relaxed. Everything became easy when I cracked the joke about my friends contacting me for advice. From that moment, having made the hosts laugh, the tension left the room and everyone was happy with the experience. The photos from the interview were collected while working with the Himalayan Stove Project, an award winning and essential non-profit helping people in Nepal. Please visit the site to learn more and help us get the fifth container of stoves to Nepal! Go Travel; Go Explore; Go Write; Go Poland; Go Milo.